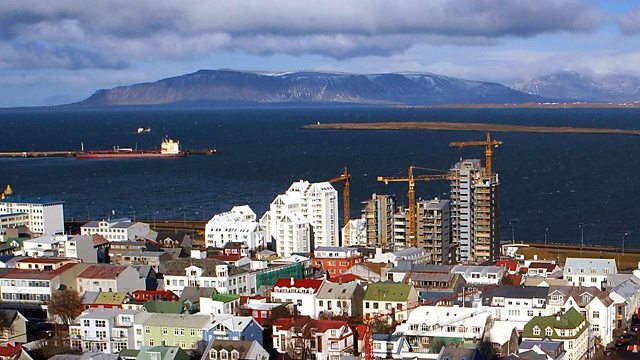 Richard Johnson finds out about the impact of the global economic crisis on food in Iceland and finds out how Icelanders are adjusting their diets to the new economic reality. Richard Johnson finds out about the impact of the global economic crisis on food in Iceland. The country has been hit hard - after enjoying one of the highest standards of living in the world, 2008 saw its banking sector collapse and it became the first western country to apply to the International Monetary Fund for emergency financial aid since 1976. Richard looks at how this turn of events is making a difference to the food being bought and eaten by Iceland's population. From rediscovering forgotten food traditions to the rise of the budget supermarket, he finds out how Icelanders are adjusting their diets to the new economic reality.